Emergency Dentists USA has you covered when it comes to finding the right Jersey City emergency dentist for your nagging toothache or painful abscess. From a broken tooth to a lost filling, Emergency Dentists USA provides a comprehensive listing of Jersey City emergency dentists who are standing by to get you out of pain and back on the road to recovery so that you can enjoy life. Our 24-hour dental hotline also offers you the option to speak with a live representative who is trained to help you find the Jersey City emergency dentist that you need right now. I had an injury to my gums and wasn’t able to get in to see my regular dentist. Emergency Dentists USA was able to help, I called their hotline and one of their staff found a dentist only a couple miles from my house that was open that day! Our complete listing of Jersey City emergency dentists is designed to get you out of pain as quickly as possible with a variety of dental clinics that cater to your schedule. Walk-in dental clinics – Offering same-day dental appointments when you walk in for service, Charming Smile Dental Emergency Care has a caring staff and a kind dentist willing to work hard to ensure that you keep that charming smile. Emergency 24-Hour Dental Clinics – A true emergency clinic, Baines Family Dental provides 24-hour access to a dentist who is trained to get you out of pain as quickly as possible, regardless of the hour. After Hours Dentists – Advanced Dental of Jersey City ensures that you can make that dental appointment at a time that is convenient for you. Located below you will find our comprehensive listing of Jersey City emergency dentists who are standing by to treat your painful dental emergency with an appointment that suits your schedule. Check out the dentists below to make your emergency dental appointment now. Description Call to be connected with the perfect dentist for you. 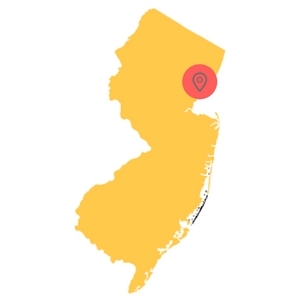 Jersey City is a large city and we have the connections to find an emergency dentist to fit your needs, and can get you an appointment immediately. Our referral service is the best option for anyone suffering from a dental emergency. We can help you find an emergency dentist in Jersey City in seconds! You can get emergency dental help in New Jersey fast. Description: This outfit also welcomes same day emergencies and that means that if you walk in due to a painful dental hardship, you will get help. Offering a full scope of general dentistry services as well as restorative dental health care, cosmetic, and other dentistry services, Dr. Bral’s aim is to take care of his patients. Description: Offering same day appointments, flexibility in handling your insurance and setting up payment plans, bilingual communication (Spanish) and importantly, 24-hour emergency services, this is one facility you will want to take a closer look at. Description: Open on Saturdays and willing to serve those with compassion that walk through the door bearing the brunt of extreme tooth pain, this Jersey City emergency dental clinic is guaranteed to get you in quickly, save you money, and prevent you from experiencing days on end of unnecessary dental pain. Description: Extractions, root canals, teeth that have been aching for days, gum and periodontal disease, and many other dental issues are among the ones that can be tended to here, among those who can offer you the best in care and who have years of skilled expertise underneath their belt. Description: This is truly “first class dentistry for the entire family”, and when it comes to emergencies, the staff here realizes just how important it is to be there for you immediately when you encounter tooth pain. Head dentist Doctor Tsambazis has practiced here since early 2011 and loves helping patients in Jersey City with dire emergency needs. Description: The Dental Spa on Montgomery Street in Jersey City provides the convenience of being open on Saturdays from 8AM until 2PM, so anyone that encounters difficulty on the weekend can be well taken care of. Here you can get service for root canal therapy, the sudden need for an extraction, or teeth that have suddenly become cracked or broken. Just like your regular dental clinic, your Jersey City emergency dentist offers dental services that include x-rays, examinations, fillings, and more advanced dental care like emergency tooth repairs. 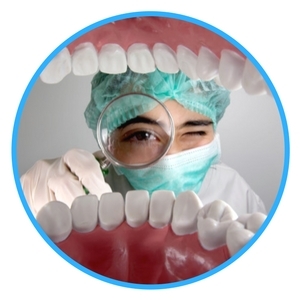 Gather any recent dental x-rays so that your new dentist can compare them to the x-rays taken at your appointment. Try to arrive at least 15 minutes prior to your emergency dentist appointment to ensure that you have plenty of time to fill out the paperwork and ask questions about your dental plan or treatment. Ask the emergency dentist office staff if they accept your particular payment form. Many dental clinics take credit cards, cash, personal checks, and some even offer low-interest payment plans for dental services. Make sure to verify if they accept your specific dental insurance plan as well. If you are allergic to any medications, let your emergency dentist know before he or she begins your dental treatment. Bring a current list of your medications with you to the dental appointment. Common dental emergencies include simple dental problems like a nagging toothache or a lost filling along with more complicated dental emergencies like a painful abscess or a broken tooth. You might choose to visit an emergency dentist if you have a tooth that is partially extruded, chipped, or even knocked completely out of your mouth, or you might need to have your braces repaired when they come loose or a when a wire breaks. If you experience any of the common dental emergencies below, contact a Jersey City emergency dentist and make an appointment right away. An abscess is a type of infection that occurs between the teeth or in the gum below the teeth. This type of infection can become dangerous if left untreated because it can easily spread to other parts of the mouth or jaw, including the bones. 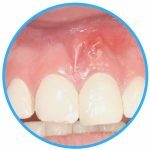 If you have an abscess, rinsing your mouth with salt water several times per day will help to draw the pus to the surface of the gum or soft tissue. This makes the abscess easier to treat. 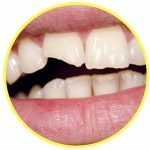 A chipped or broken tooth is a dental emergency that can be both painful and somewhat embarrassing. If you are able to find the pieces of the tooth, save these pieces to bring to the emergency dentist. Rinse the pieces and your mouth with plain water and use a piece of gauze to apply pressure to any areas that are bleeding. A cold compress will help to lessen the pain and swelling of the outside of the mouth, including the cheeks and lips. Tooth trauma caused by an accident may require you to visit your local hospital emergency room rather than your Jersey City emergency dentist if the trauma has caused damage to any part of your body other than your teeth. A fall that causes a head injury, bodily injury, and broken teeth requires a visit to the ER to determine how badly your head is injured and what treatment is required. If the only part of your body that is damaged is a tooth or several teeth, head straight to an emergency dentist to have the teeth repaired as soon as possible. You might need an emergency tooth extraction if your tooth has decayed to the point where an emergency dentist can no longer fix the tooth. You might also need an extraction if your tooth is crowding other teeth in your jaw. Waiting to have the tooth extracted can complicate the procedure, making it painful and prolonging the use of medications like antibiotics and painkillers. Your dentist will perform an x-ray and examination to determine the best way to extract the tooth. Then, he or she will use a local or general anesthetic to keep you comfortable during the procedure. A special dental tool is used to pull the tooth from the socket or to break the tooth and then remove it. Sometimes the dentist uses stitches that dissolve over time to close the hole left in the gum. The emergency dentist will usually place gauze in the gum to control any bleeding, and you will be healed completely within one to two weeks. An implant is sometimes used to replace the tooth that has been extracted. Follow your dentist’s instructions carefully following the extraction and avoid eating hard foods or drinking from a straw. You will also need to avoid smoking or drinking alcohol while you recover from the procedure. Take any medications as directed by your Jersey City emergency dentist. You might be tempted to head to the nearest hospital emergency room when you wake up with a nagging toothache. This is a great idea if your toothache is caused by head trauma, a fall, or an accident because the ER physician can assess the injuries and ensure that you do not have a concussion or other bodily damage. An emergency dentist is the right choice if you have a toothache that does not come from trauma to your body. In many cases, the emergency room physician cannot treat a dental problem like a broken tooth because hospitals do not typically treat this type of problem. Going straight to your dentist ensures that you will get prompt dental care without the added expensive of an ER visit and that frustrating wait in the emergency room. If you have a dental emergency only, your Jersey City emergency dentist should be your first stop on the way to recovery. Choosing a great Jersey City emergency dentist means checking your new dentist’s credentials. Use the American Dental Association website to verify your chosen dentist’s licensing for any procedure that you are about to receive. You can also use the New Jersey Dental Association website to check out your new dentist’s credentials and learn more about services offered in the New Jersey area. If you are unable to reach a Jersey City emergency dentist, head to your nearest hospital emergency room to ensure that your dental emergency is treated quickly and professionally.